WOONSOCKET, R.I. — Abacus Health Products has announced the national launch of 10 over-the-counter pain relief products. CBDMEDIC’s innovative formula is built on 15 years of pharmaceutical research and development. 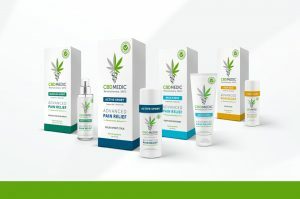 9 out of 10 healthcare practitioners who use the pain relief technology inside of CBDMEDIC say that the technology provides “more effective pain relief for their patients than other over-the-counter topical analgesics” (pain relief products). 9 out of 10 healthcare practitioners who use the pain relief technology inside of CBDMEDIC prefer it to other topical pain products. All CBDMEDIC products are OTC-registered topical medications produced in a Current Good Manufacturing Practice (cGMP) inspected facility to ensure high quality control standards.